1. Make sure all Internet Explorer windows are closed. 2. 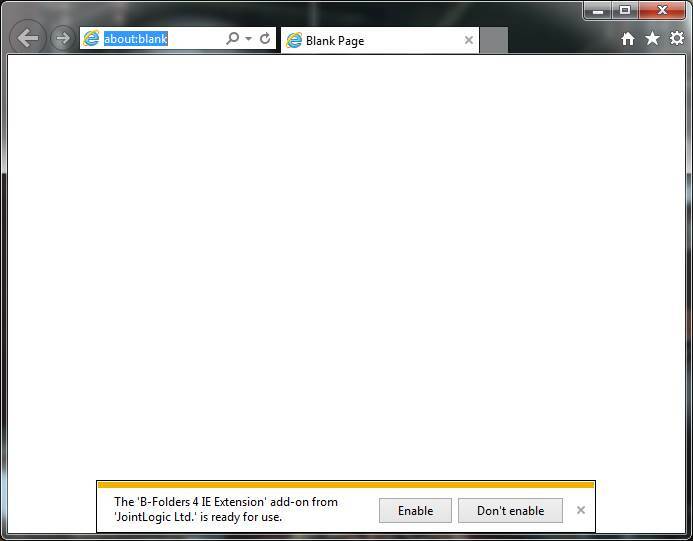 In B-Folders select Tools > Internet Explorer > Install in Internet Explorer. Windows 8 may show a Windows Features window asking for the .NET Framework feature. If so, press the Download and install this feature button, wait for the installation to complete, and press the Close button. 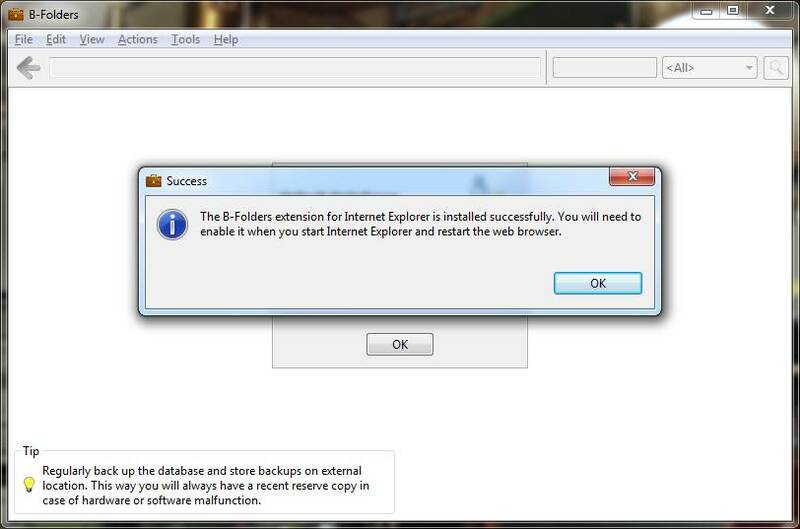 The B-Folders Internet Explorer extension installation will not continue automatically, so start the installation procedure again by going to step 1. 4. Press the OK button and start Internet Explorer. You will be asked to enable the B-Folders Internet Explorer extension. 5. Press the Enable button on the Internet Explorer information band. 6. Close any Internet Explorer windows. 7. 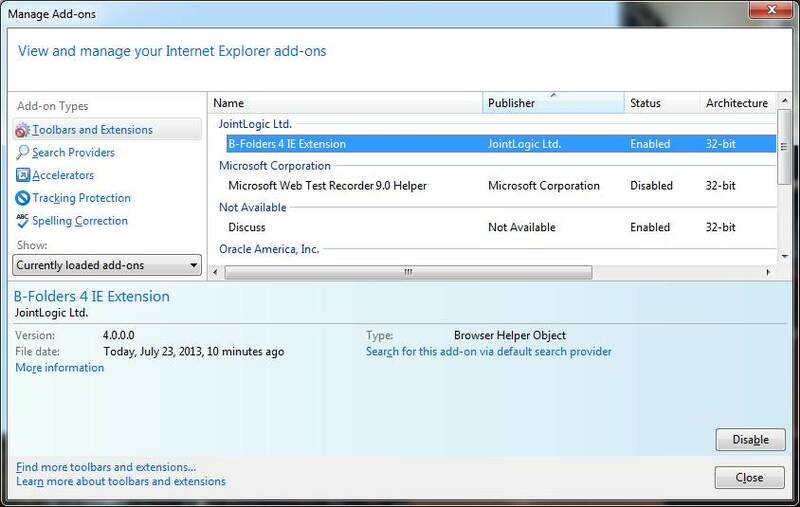 Start Internet Explorer and select Tools > Manage add-ons. You should see the B-Folders Internet Explorer extension enabled. The B-Folders Internet Explorer extension is now installed and activated successfully.